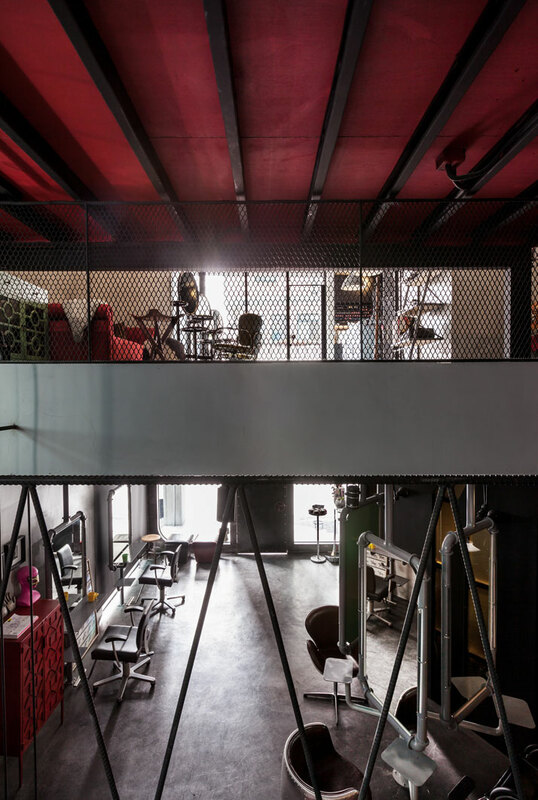 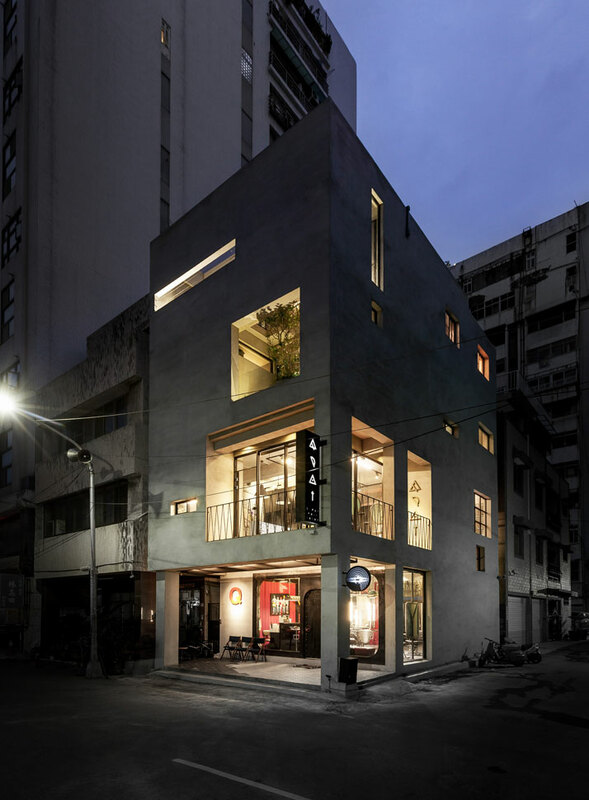 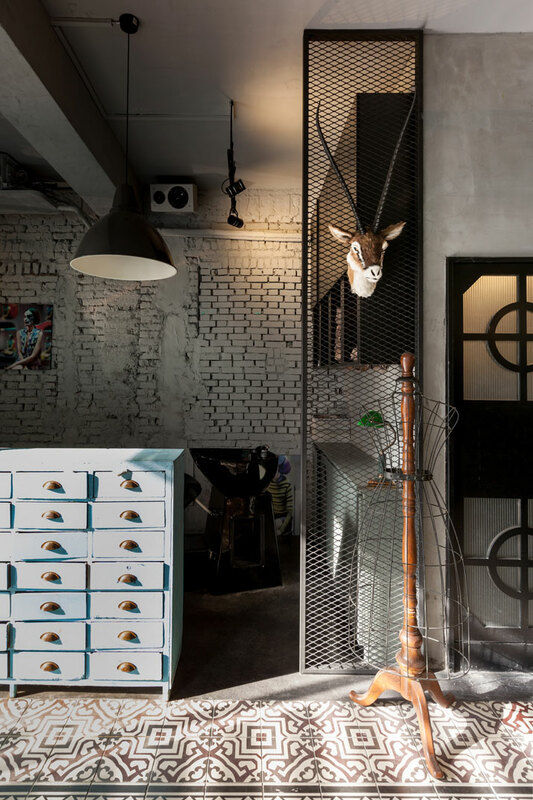 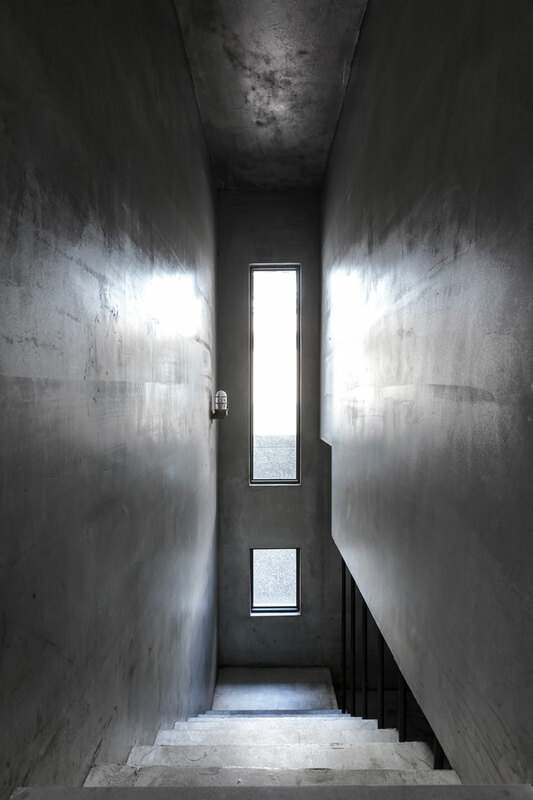 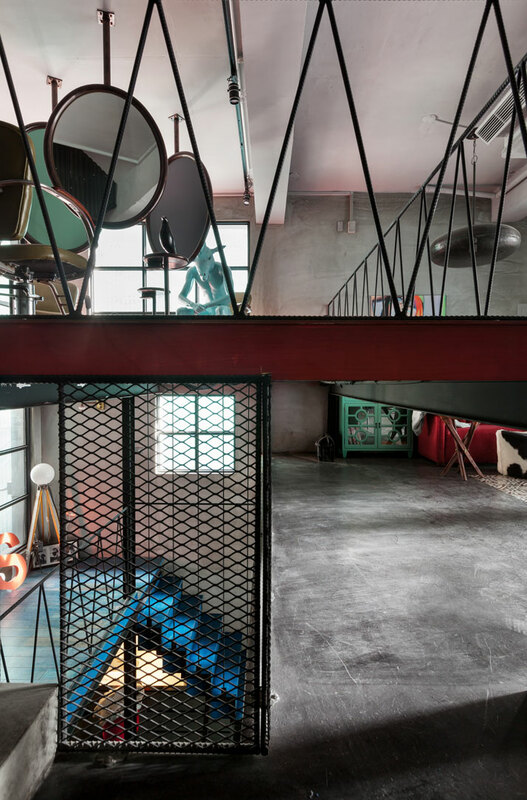 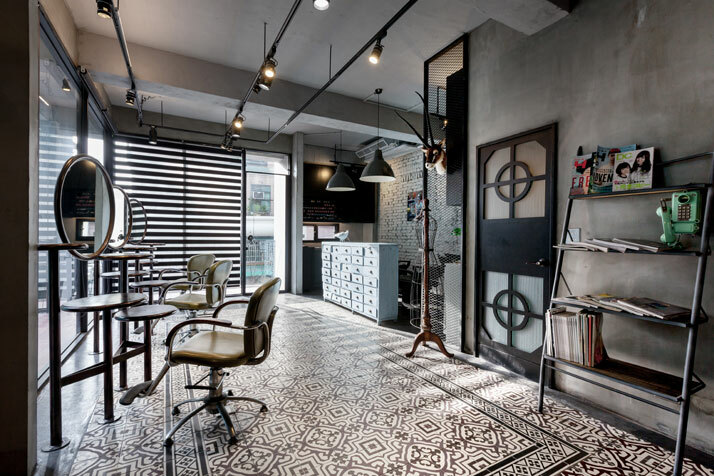 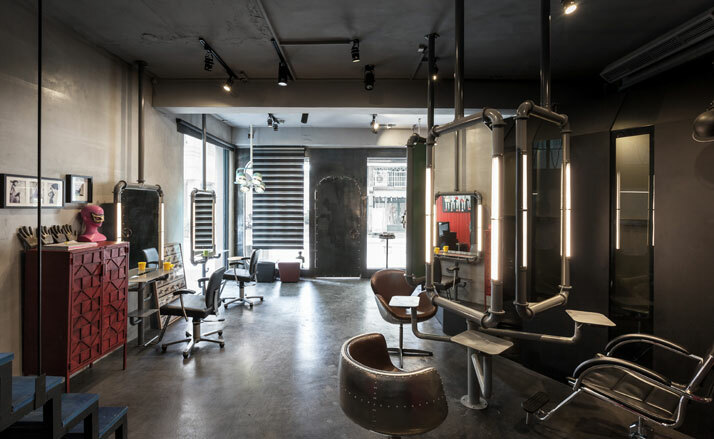 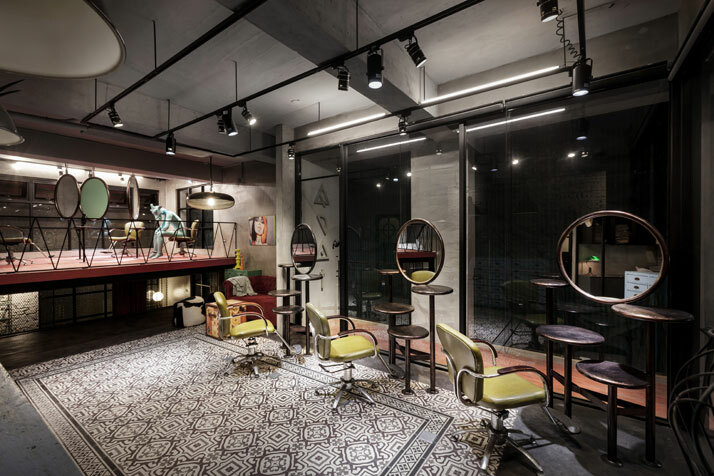 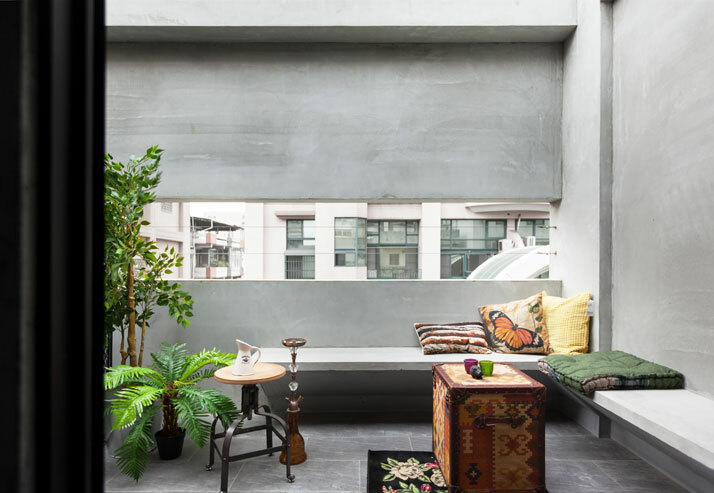 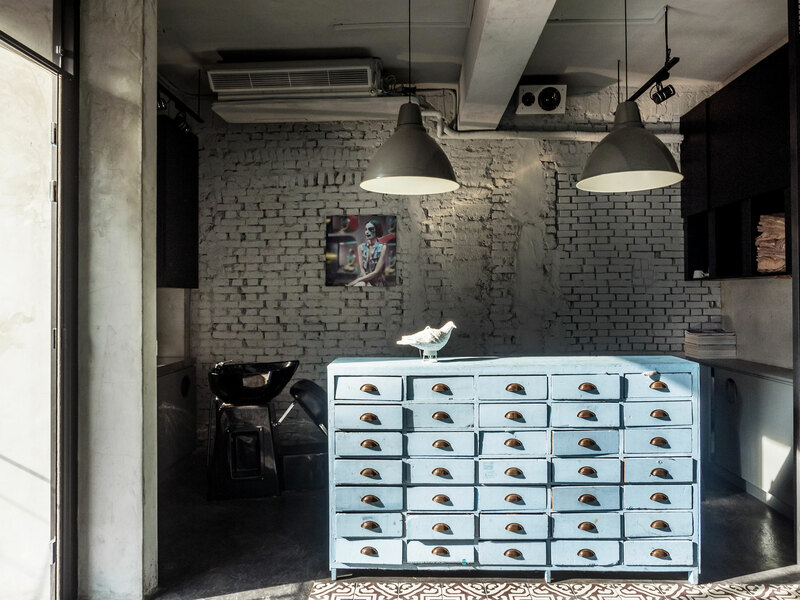 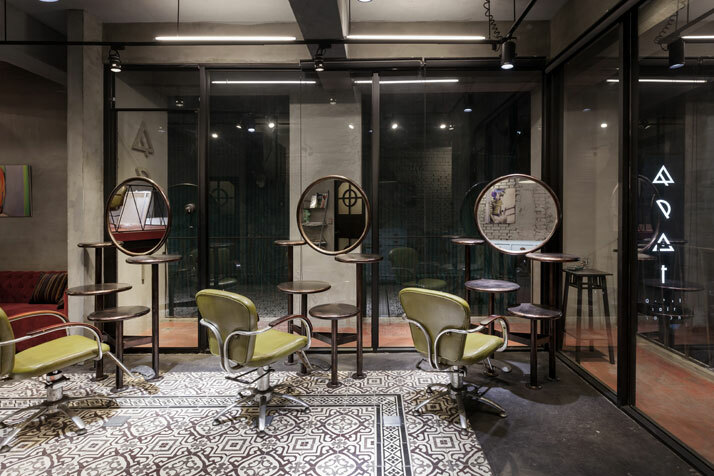 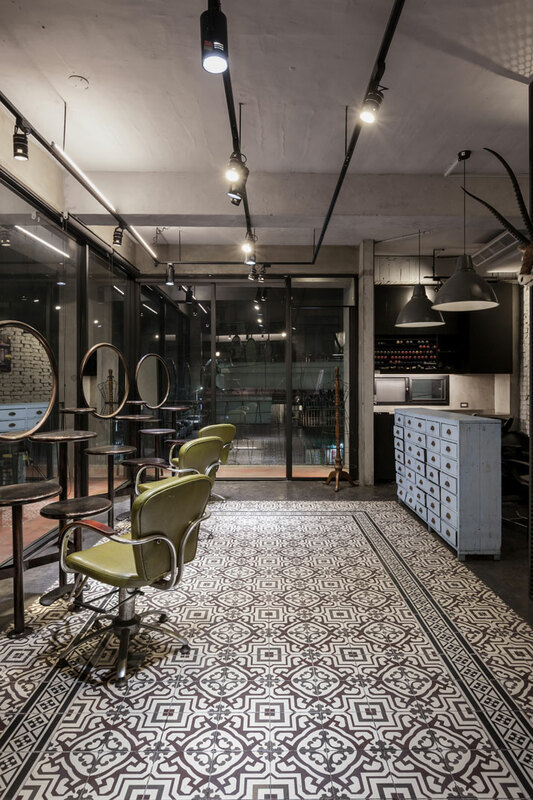 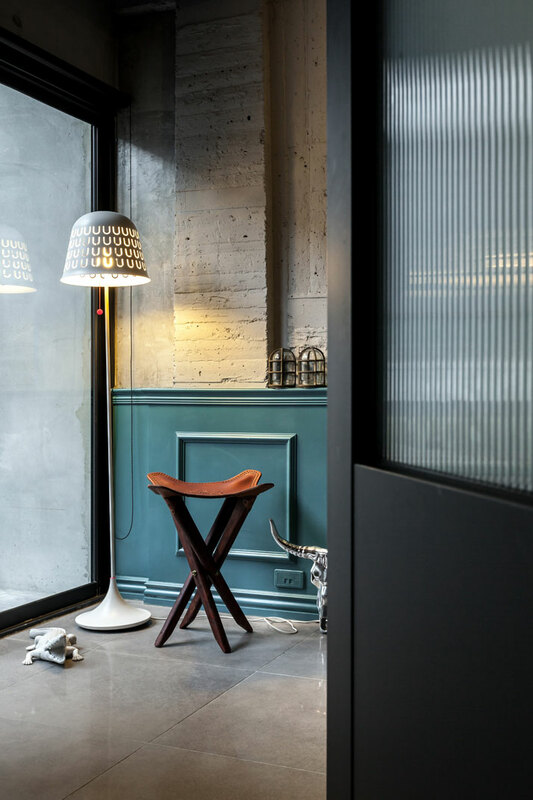 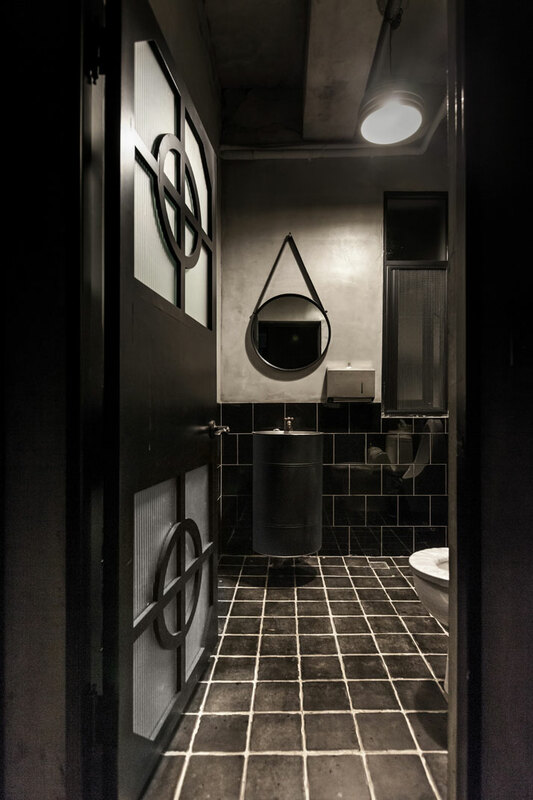 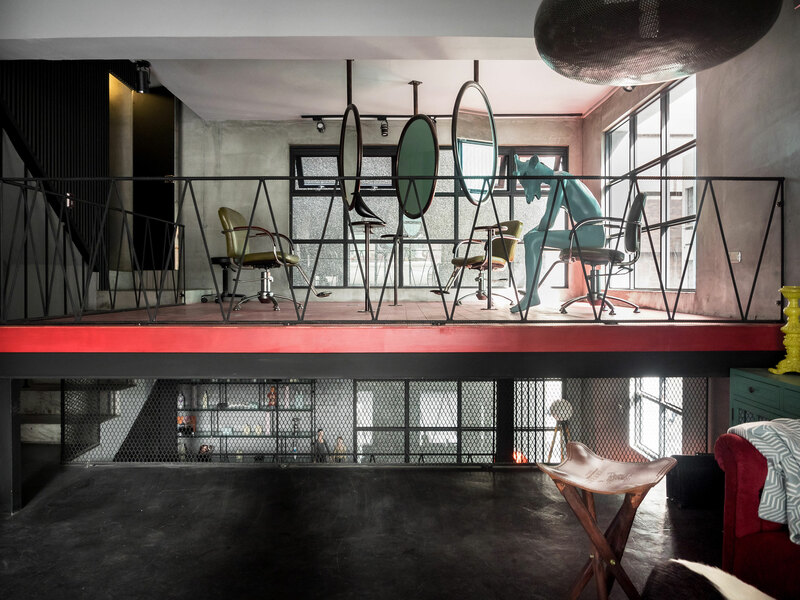 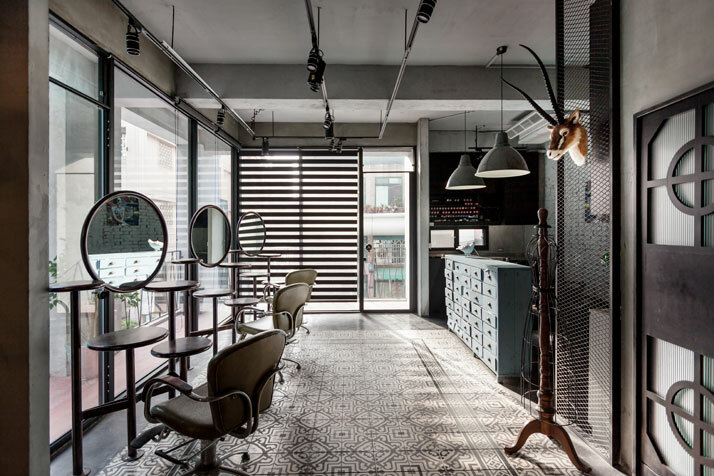 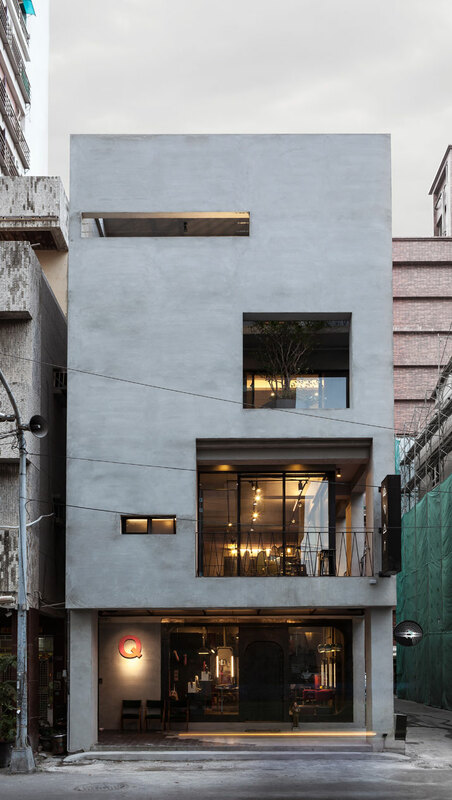 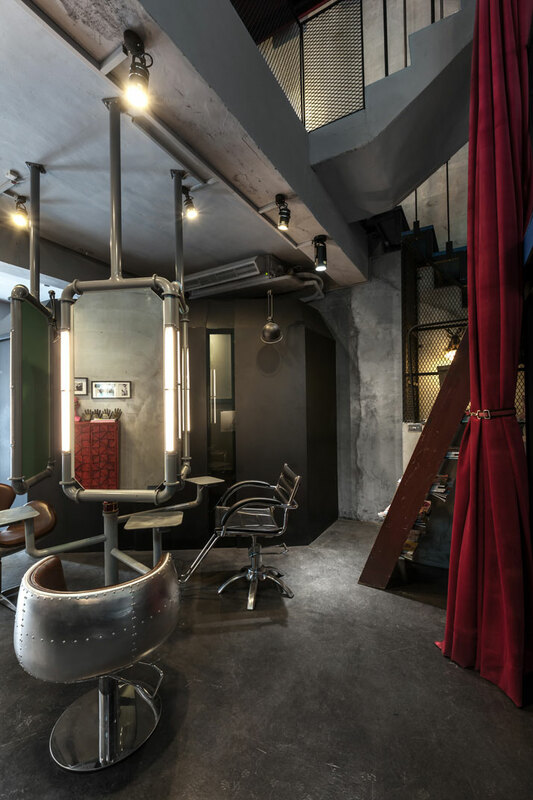 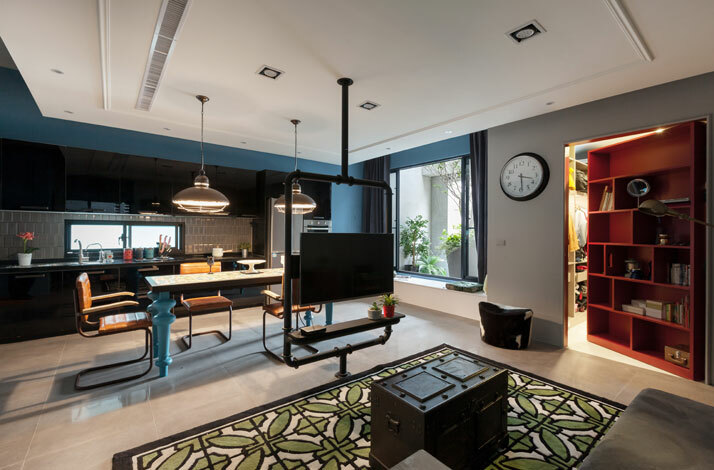 Interiors and architecture studio HAO Design has transformed an old multi-storey building in Taiwan’s Kaohsiung City into a must-visit contemporary beauty salon, that also houses the owner’s private home on its top two floors. 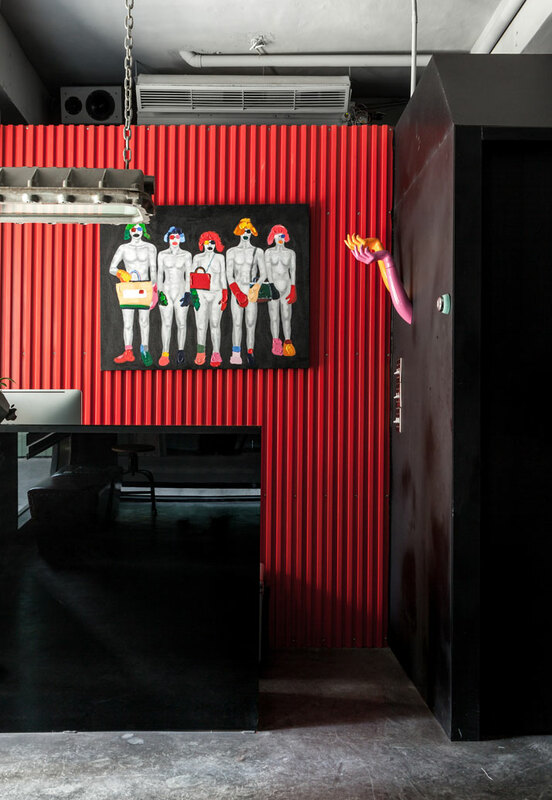 Bold colours, pipelines, concrete and aviation engineering elements were matched with artworks from the owner’s private art collection to create a rough yet appealing atmosphere on the ground level — meanwhile, a similar atmosphere continues up on the mezzanine level, where part of the area was made to look like a boxing ring, next to a light-flooded area that has a very contrasting vintage style. 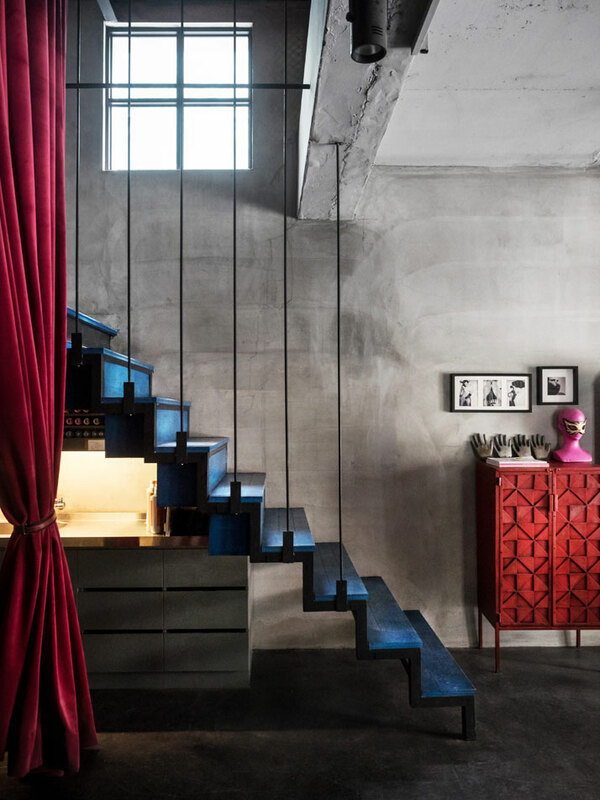 From there upwards, the owner’s home begins, with the main living area and kitchen occupying the first floor and the bedroom tucked high up above. 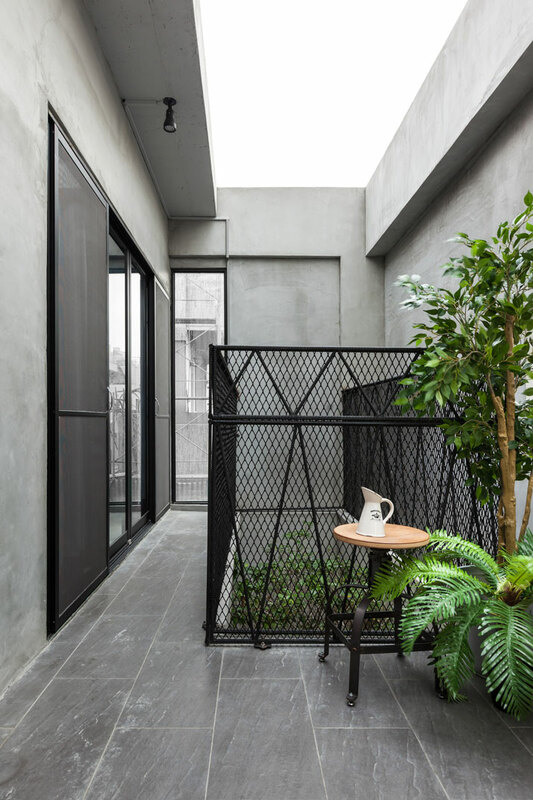 A large tree planted on the first floor balcony reaches all the way up to the fourth floor through openings in the facade, adding much needed greenery to the otherwise bare window views. 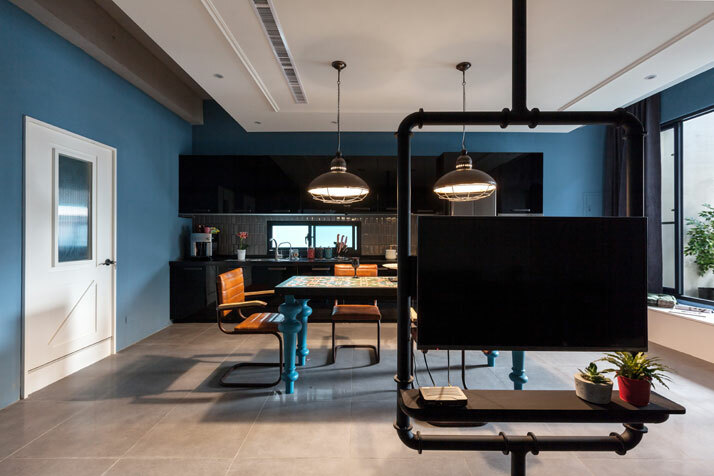 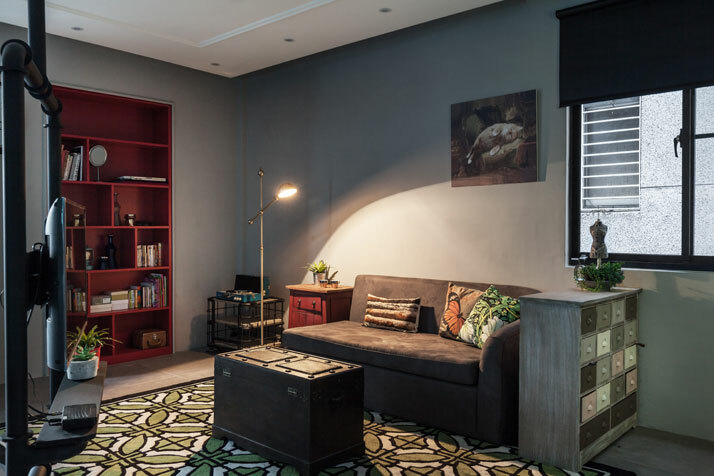 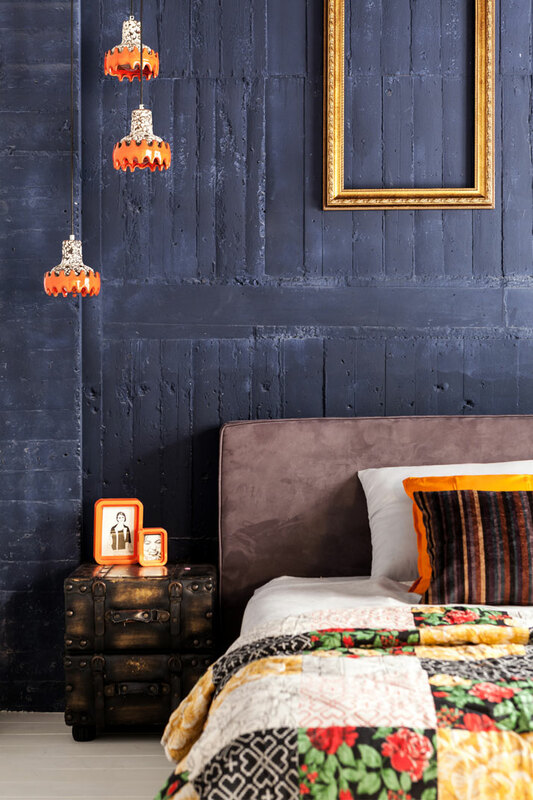 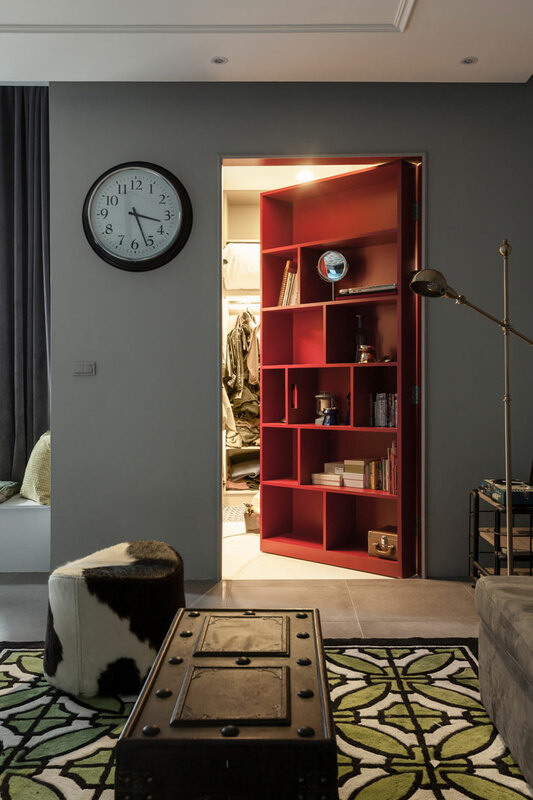 According to HAO Design, this kind of riotous and experimental project would have not been possible without the client’s open-minded approach and cooperation.